This is a tribute page. Hailing from Halifax, The Orielles are sisters Sidonie B and Esmé Dee Hand Halford and their best friend Henry Carlyle Wade whom they met at a house party just a few years ago. 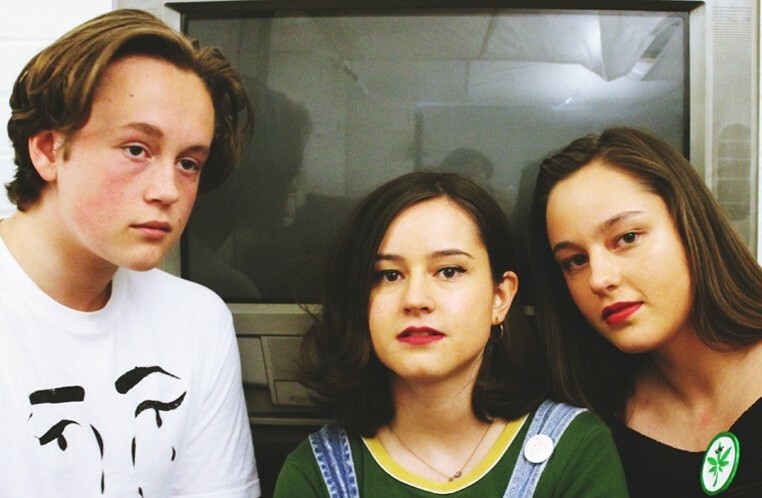 The then teenagers bonded over their shared love of alternative US bands from the 90s such as Sonic Youth & Pixies as well as pioneering filmmakers including Quentin Tarantino (The Orielles have cited his work in their songs and consider his work a major lyrical and aesthetical influence). Keen proponents of the DIY aesthetic, they learned their instruments on the road through gigging and the band have spent the past few years polishing their sound, with a steady string of singles previously released. IMP Your song 'Sugar Tastes Like Salt' has just been added to Desperado Revue 2019 GK Contenders station! IMP Your song 'Sugar Tastes Like Salt' has just been added to Alternative Desperado station! IMP Your song 'Sugar Tastes Like Salt' has just been added to Featured Songs station! IMP Your song 'Sugar Tastes Like Salt' has just been added to Alternative Pop Rock station! IMP Your song 'Sugar Tastes Like Salt' has just been added to Hot Picks station! IMP Congratulations! Your song 'Sugar Tastes Like Salt' is now #6 on the Kayak Big 25!